What is the Grand Egyptian Museum? 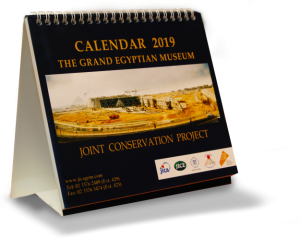 The Grand Egyptian Museum (GEM) is currently one of the largest museum development projects in the world. Given the global interest in Pharaonic history, people everywhere are eagerly anticipating the arrival of this new cultural destination, which is located two kilometers away from the Giza pyramids. The story began when it was decided to construct a new museum since the building of the present Egyptian Museum is old and small; also the expansion of the museum itself is difficult because of the restriction of its site. In February 2002, President Mubarak laid the Foundation Stone of the Grand Egyptian Museum. Then in 2003, a competition was held with the aim of finding a designer for the building. A modern, landscape-conscious architecture was selected through an international completion for the important cultural heritage of humankind, such as the famous collection of Tutankhamun. The new museum will provide a variety of experiences and services to the visitors; encountering with ancient Egyptian culture and technologies through its vast collection, educational service for children and adults, a research facility, an easy-access for the disabled and great views of the Giza pyramids from the gardens. JICA (Japan International Cooperation Agency), the executing agency of the Japan’s Official Development Assistant (ODA), provides 84.2 billion yen (about US$ 770 million) official development loan to the Egyptian government. It covers a great part of the cost of building construction, exhibition and interior design, landscape design, and the ICT development.